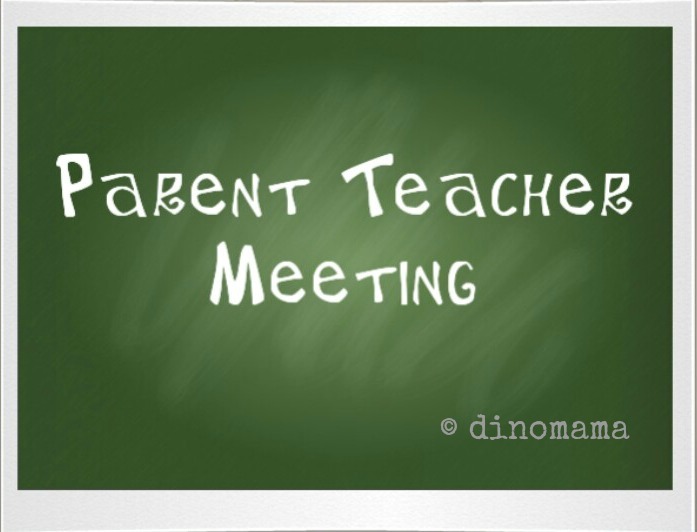 We had Parent Teacher Meeting recently, even though we were expecting what the teachers is going to say, there were still some good news and a teeny bit of disappointment too. We were very surprise when DinoBoy's form teacher and Chinese teacher sang praises about him. Both of them said that he is a bright child who is able to grasps concepts and learn new things fast. He has confident in himself, his speech is loud and concise, pronunciation is clear and able to converse well in both English and Chinese, something that most 6-7 year old children are unable to do so. For this we really have to give thanks to DinoBoy's child care centre teachers for teaching and guiding him in his 6 years with them, they put in a lot of effort to nurture him into what he is today. This call for a trip to the child care centre to show appreciation to the teachers. Chinese teacher shared with us that she is a little bit surprise with DinoBoy's Term 2 Modular Test result of 26/50. 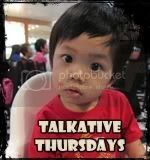 He scored great in his Chinese oral, good in Listening Comprehension but his written paper pulled his marks down. If he had scored well for this he will be going to Higher Chinese class for the 2nd half of the year. Nevertheless, he can still try to improve on his Chinese and perhaps he will be able to switch to Higher Chinese in Primary 2. I am disappointed about this but not because he is unable to go into Higher Chinese class but rather I'm disappointed with myself. Perhaps if I have paid equal attention to Chinese as I did with English he'll probably fare better. There is really a difference between able to speak or/and write and able to read AND understand what is written. This is what caused DinoBoy to make mistakes in his Modular Test and thus the result of 26/50. Ok before you parents get all so nerves, anxious or worried about Higher Chinese, whether you should let your child aim to gain a place in Higher Chinese class or to be relax and take it easy, DinoBoy's Chinese teacher says that the teaching style for Higher and "normal" (if I may use this word) Chinese class is the same, just that Higher Chinese students learn a little bit more words. Of course I would think that the scoring criteria for Higher Chinese may be tougher. Oh did I mention that he was chosen to be in the school's Wushu team? Only a handful of P1 students are selected. Looks like this little boy is serious about this CCA, hope that this passion will persist and maybe one day he will get to take part in some competition and bring home some trophies. Last but not least, form teacher told us that she does not give homework to her students, she wants to seek our understanding on this as some parents are not too happy with it. She believe that all school work must be finished in class and only if she feels that some of the students needs extra help then she will give them homework. We were glad to hear that because both of us feel that we should not stress and overload Primary One students with too much homework. In summary, DinoBoy is doing well academically as you can see from his Report Book, even in Chinese though I still need to work with him on this subject, especially the grouping of words into sentence 组词成句 and complete the sentences 完成句子 section. Temper flaring is under control though still need to be checked from time to time and I have to help him in reducing his screaming and shouting in class. Overall, he did well, keep it up son! 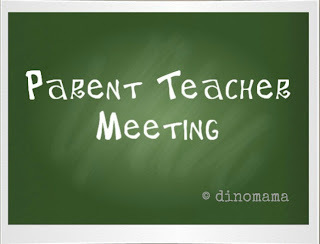 I am feeling pressured now to attend my girl's P1 Meet-the-Parents session. Initially told her teacher I couldn't make it because I have been messaging the teacher on a regular basis and thought that should be quite a sufficient feedback channel. Now I got to rethink again.. Hmm..